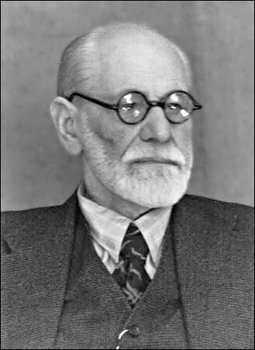 Thanks to Freud, catharsis theory and psychotherapy became part of psychology. Mental wellness, he reasoned, could be achieved by filtering away impurities in your mind through the siphon of a therapist. He believed your psyche was poisoned by repressed fears and desires, unresolved arguments and unhealed wounds. The mind formed phobias and obsessions around these bits of mental detritus. You needed to rummage around in there, open up some windows and let some fresh air and sunlight in. The hydraulic model of anger is just what it sounds like – anger builds up inside the mind until you let off some steam. If you don’t let off this steam, the boiler will burst. If you don’t vent the pressure, someone is going to get a beating. It sounds good. You may even look back on your life and remember times when you went batshit, punched a wall or broke a plate, and it made things better, but you are not so smart. In the 1990s, Psychologist Brad Bushman at Iowa State decided to study whether or not venting actually worked. At the time, self-help books were all the rage, and the prevailing advice when it came to dealing with stress and anger was to punch inanimate objects and scream into pillows. Bushman, like many psychologists before him, felt like this might be bad advice. In one of Bushman’s studies he divided 180 students into three groups. One read a neutral article. One read an article about a fake study which said venting anger was effective. The third group read about a fake study which said venting was pointless. He then had the students write essays for or against abortion, a subject for which they probably had strong feelings. He told them the essays would be graded by fellow students, but they weren’t. When they got their essays back, half were told their essay was superb. They then asked the subjects to pick an activity like play a game, watch some comedy, read a story, or punch a bag. The people who read the article which said venting worked, and who later got angry, were far more likely to ask to punch the bag than those who got angry in the other groups. In all the groups, the people who got praised tended to pick non-aggressive activities. …exposure to media messages in support of catharsis can affect subsequent behavioral choices. Angry people expressed the highest desire to hit a punching bag when they had been exposed to a (bogus) newspaper article claiming that a good, effective technique for handling anger was to vent it toward an inanimate object. So far so good. Belief in catharsis makes you more likely to seek it out. Bushman decided to take this a step further and let the angry people seek revenge. He wanted to see if engaging in cathartic behavior would extinguish the anger, if it would be emancipated from the mind. The second study was basically the same, except this time when subjects got back their papers with “This is one of the worst essays I have ever read!” they were divided into two groups. The people in both groups were told they were going to have to compete against the person who graded their essay. One group first had to punch a bag, and the other group had to sit and wait for two minutes. After the punching and waiting, the competition began. The game was simple, press a button as fast as you can. If you lose, you get blasted with a horrible noise. When you win, blast your opponent. They could set the volume the other person had to endure, a setting between zero and 10 with 10 being 105 decibels. Can you predict what they discovered? On average, the punching bag group set the volume as high as 8.5. The timeout group set it to 2.47. The people who got angry didn’t release their anger on the punching bag, it was sustained by it. The group which cooled off lost their desire for vengeance. In subsequent studies where the subjects chose how much hot sauce the other person had to eat, the punching bag group piled it on. The cooled off group did not. When the punching bag group later did word puzzles where they had to fill in the blanks to words like ch_ _e, they were more likely to pick choke instead of chase. Bushman has been doing this research for a while, and it keeps turning up the same results. If you think catharsis is good, you are more likely to seek it out when you get pissed. When you vent, you stay angry and are more likely to keep doing aggressive things so you can keep venting. The more effective approach is to just stop. Take your anger off of the stove. Let it go from a boil to a simmer to a lukewarm state where you no longer want to sink your teeth into the side of buffalo. Bushman’s work also debunks the idea of redirecting your anger into exercise or something similar. He says it will only maintain your state or increase your arousal level, and afterward you may be even more aggressive than if you had cooled off. Still, cooling off is not the same thing as not dealing with your anger at all. Bushman suggests you delay your response, relax or distract yourself with an activity totally incompatible with aggression. These results contradict any suggestion that hitting the punching bag would have beneficial effects because one might feel better after doing so (which is what advocates of catharsis often say). People did indeed enjoy hitting the punching bag, but this was related to more rather than less subsequent aggression toward a person…hitting a punching bag does not produce a cathartic effect: It increases rather than decreases subsequent aggression. Freud and Aristotle are superstars of our culture, of world culture. Aristotle’s ruminations on drama and Freud’s attestations about repressed emotions both linger and permeate popular thought. You might think a total overturning of common sense would lead to widespread social change, but anger management is still big business – especially since it is often court-ordered. If you get into an argument, or someone cuts you off in traffic, or you get called an awful name, venting will not dissipate the negative energy. It will, however, feel great. That’s the thing. Catharsis will make you feel good, but it’s an emotional hamster wheel. The emotion which led you to catharsis will still be there afterward, and if it made you feel good, you’ll seek it out again in the future. Video games, horror movies, romance novels – all fun, but no psychologist would prescribe these outlets as a cure for anger or fear or loneliness. Flailing in a mosh pit or screaming along to death metal doesn’t release your demons, it prolongs your angst. 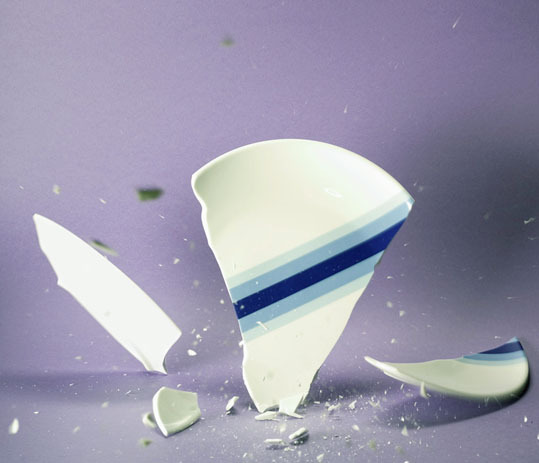 Smashing plates or kicking doors after a fight with a roommate, spouse or lover doesn’t redirect your fury, it perpetuates your rancor. If you spank your children while infuriated, remember you are reinforcing something inside yourself. Common sense says venting is an important way to ease tension, but common sense is wrong. Venting – catharsis – is pouring fuel into a fire.